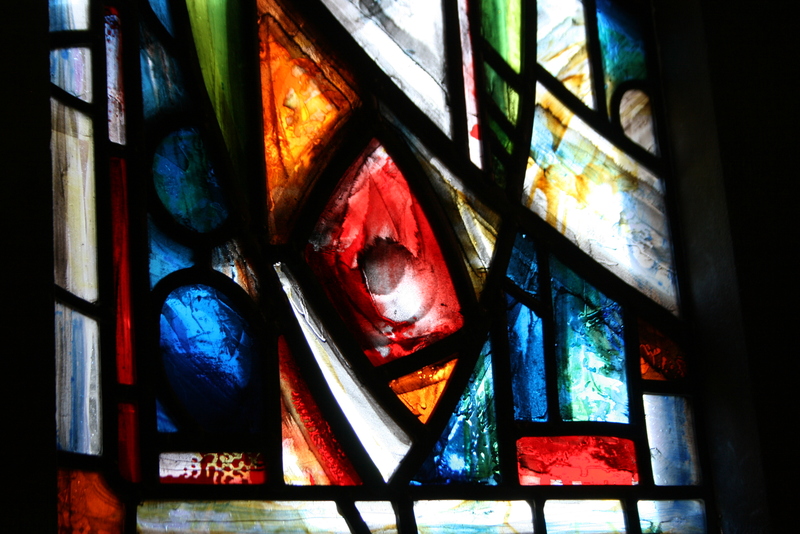 Of the two windows, one, The Good Samaritan, is all my work and the other, (I call it the ‘Foxglove Window’) was designed by Delyth Evans and made in my studio. Delyth and I had several collaborative sessions in the studio to ensure the process of making was true to Delyth’s vision for the window and she did a lot of the glass painting herself. 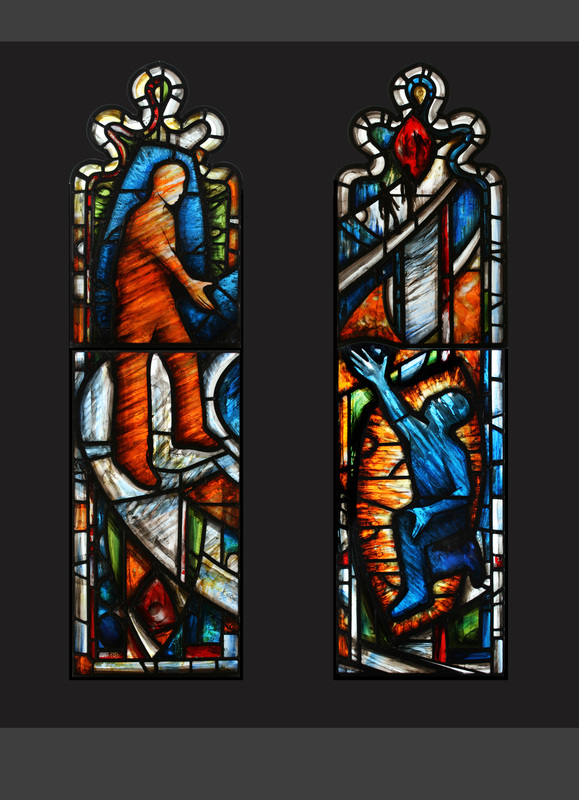 I collaborated with myself on the Good Samaritan window and had several conversations with myself whilst making it, but most of the time I managed to ignore myself and just get on with it. The talented Alun (Adams) and Colin (Telford) were on hand to fit the windows, aided by myself, Delyth Evans and our respective partners. Wondrous window fitting ensued, ending up with both windows in and ready to be mortared in the following day, much to my delight. 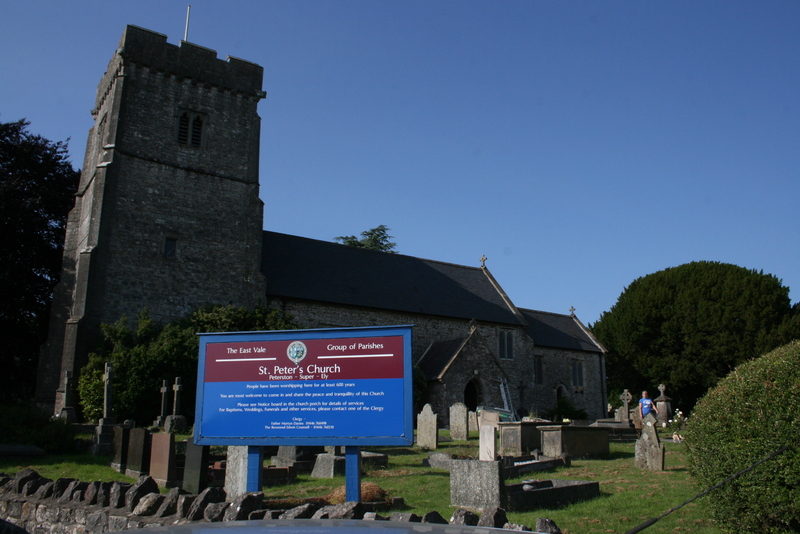 Well done and thanks to all, and thanks to all the church members, donors and wardens alike who popped in throughout the day to offer encouragement and drinks!